Call 401.863-4111 for Emergency Medical Services (EMS). If you are wondering if you should call EMS, then you should call EMS. What should I do if my friend gets drunk? Do not let your friend wander off alone! You don't know where she might end up or what might happen. If your friend is throwing up, let her get it all out. Do not force her to drink water. The stomach lining is too irritated to accept any food or water. Do not let her drink any more alcohol! Make sure your friend is lying on his side or stomach, with his face pointing sideways. If he throws up, he won't choke on his own vomit in this position. Cover him with a blanket. Alcohol dilates blood vessels and your friend will lose heat more rapidly than usual. It's important that a responsible person stay at his side, stay awake, and watch him for several hours. You have to make sure he doesn't roll on his back and watch for changes in his condition. If you can't wake him easily to have a conversation (clear words and answers, not grunts), call EMS. When should I call EMS? your friend is "falling down drunk," or has problems with speech or motor coordination. there are changes in his breathing, seizures, severe shaking, injury, continued vomiting, blood in vomit, or combativeness. he is drunk and on any other drugs or prescription medication. she has passed out. Her blood alcohol content could be going up rather than down and could lead to alcohol poisoning. You can't tell if her life is in danger. Will my friend get in trouble for drinking too much or for being underage? Your friend will not have a discipline hearing if she needs medical attention only for drinking or other drug use. Brown wants you to get medical help for your friends when they need it. However, if she damaged property or broke other university regulations while drinking, there may be disciplinary consequences to those violations. Why should I call EMS? Even if your friend has thrown up, his blood alcohol content (BAC) may still be rising as the alcohol left in his digestive track enters his bloodstream. He could choke on his own vomit if he vomits in his sleep, or he could stop breathing when his BAC gets high enough to depress his central nervous system. EMS conducts an extensive medical examination to determine if your friend needs to go to the hospital or if s/he is capable of refusing treatment. Don't take a chance with someone's life. Brown EMS is a free service provided by the university. This is the case no matter how many times you call EMS. In rare cases, when Brown EMS is already on a call, Providence Rescue may be called to evaluate and treat an intoxicated student. In these situations, the student is responsible for the expense of the ambulance and the treatment. When a student needs to go to the hospital for emergency care, any emergency room and hospital charges are the responsibility of the student. Sometimes insurance will cover these costs but you need to check with your insurance company. If you have the insurance that's available through Brown, you can contact the Office of Insurance and Risk at 863-1703 for information on your insurance coverage. Why do Public Safety officers accompany EMS? Public Safety accompanies EMS for 2 reasons: to provide access to the building and to provide protection for the EMTs. This allows EMS to focus on treating the patient. Public Safety officers are required to file an incident report whenever they are called. This report is NOT the same as an EMS report. 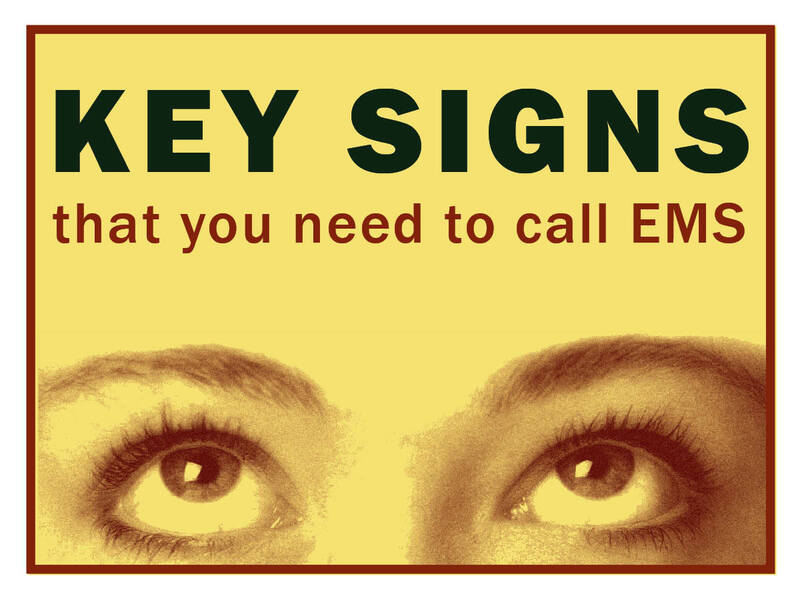 EMS is a part of Health Services, and all EMS reports and procedures are confidential. Will there be any follow-up to calling EMS? These appointments are strictly confidential. Just like EMS and Health Services, Health Education cannot release any information without a patient's written permission. The purpose of these appointments is to provide educational information about alcohol and other drugs, discuss the student's risks based on their pattern of use and work with the student to make safer choices. When are there disciplinary consequences? If a student violates University policies (offenses like fighting, vandalism, injuring others) while under the influence of alcohol or other drugs, this is cause for disciplinary action. "I was drunk, I didn't know what I was doing" is not an acceptable excuse for this sort of violation. For more information about Brown EMS follow this link. If you need emergency medical help call 401.863-4111. What if I can't pay for the hospital bill? There may be funds available to help you through the Campus Life Emergency Fund. You will fill out a very brief application and then Campus Life will contact you.